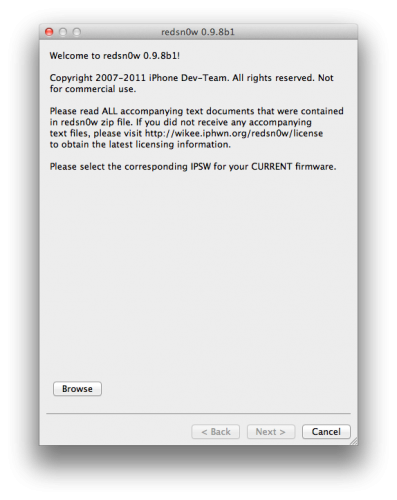 The iPhone Dev Team has just released a new version of Redsn0w that is able to jailbreak the latest Apple Version software IOS 5 Beta 1. This is a tethered Jailbreak only and if you were to shut it off you would have to rerun the program to get the apps to work again. Redsn0w will not hacktivate IOS 5 so if you wish to still have your unoffical carriers DO NOT UPDATE. This jailbreak is intended for Jailbreak Application Developers but anyone can use it.